As a way for you to get to know our friendly staff members, we are going to start posting some profiles of the Natur-Tyme Family on our blog. What better of a person to start with than the owner, Wendy Meyerson. And what better of a day to post it than the day of Natur-Tyme’s 16th annual health fair at the New York State Fairgrounds. This is CNY’s premier health and wellness event. Come on out and join us! Mention this blog to get in the door for $7.00 (the price of our advanced sale tickets) instead of $10.00 (our “at the door” price). Q: If there is one piece of advice that you think applies to most people, what is it? A: Always follow your gut! It will never fail you! Q: If you won 10 million dollars, what would you do with the money? A: Pay off our business loans but still keep doing what we are doing! Q: What are your favorite local hangouts? Q: If money was no object, what would you do all day? A: Exactly what I am doing today! A: Of course my family’s health and happiness, but also the wonderful community support we have had for the past 30 years! Q: Who’s your personal hero? A: Not one, but all the Natur-Tyme employees who are committed everyday to uphold our mission while juggling his or her own life challenges. They are inspiring! Stock up at sale time. Yes, even organic products go on sale at health-food grocery stores. Shop at farmers markets. Food that’s grown, produced, and sold locally is a great way to help the planet heal itself, and without middlemen between you and the grower, the prices can be excellent. Farmers market produce tastes better than fruits and vegetables that have traveled thousands of miles from farm to plate. Eat organic food instead of going out to a restaurant. Yes, this means time spent preparing and cooking organic foods, but eating organic food is cheaper than taking the family to a fast-food place or “fast casual” restaurant—and much healthier, of course. A family of four would have to pay a minimum of $20 to $25 for a meal out, but you could pay for a wonderful home-cooked meal, complete with organic, grass-fed beef or wild-caught fish for that amount—even less. [However], if you are interested in eating out, search for local organic restaurants as more and more of them are opening their doors in major and even smaller cities all across the U.S. Eating organic is cheaper than going on a special diet. And there’s a good chance you’ll lose extra pounds that wouldn’t come off with any other diet. If you’re taking nutritional supplements, shop organic as well. Surveys suggest that 40 percent to 70 percent of Americans consume nutritional supplements, so look for products that are certified-organic (Check for the USDA seal) as more and more leading brands are taking the giant leap and producing nutritional formulations using organic ingredients. When you get down to the nitty-gritty, the decision to eat organic foods boils down to what’s important to you. What you spend your money on shows where your [interests lay] and where your heart is. Do you want to live a healthier life and leave a smaller footprint on the planet? Do you see organic foods as a down-payment for your future and your health? You can pay the farmer now, or you can pay the doctor later. If you would like more inspiring healthy-living tips from Jordan Rubin, be sure to attend his April 10th lecture from 2:15-3:45 at Natur-Tyme’s 15th annual health fair, held at the New Your State Fairgrounds. Tickets are available on our website. Where do I begin? I guess I’ll start with the grateful Natur-Tyme customer that we helped one day who told us that, “Coming here is better than going to the doctor!” While we can’t diagnose anyone, we can certainly provide them with compassion, understanding, and knowledge of our products. I think of our customers as our extended family because that is exactly what they are. It’s a home away from home for all of us. It’s always wonderful to hear a customer say, “Oh here’s a friendly, familiar face!” as one of us walks up to help them. And our new store is amazing for the employees as well! I thought we had it going on at the old store on Bridge Street; however, the Tyme-Out Café is just what we needed! I love getting a healthy juice, smoothie, or soup every day from there. And the salads and wraps are tasty and healthy. And did I mention the Enhanced Beauty Salon? It’s so easy to get an appointment for a haircut, facial, or massage. I truly believe that offering massage here at Natur-Tyme compliments our mission of providing health and wellness because massage helps our immune system, cardiovascular system, lymphatic system, and much more. 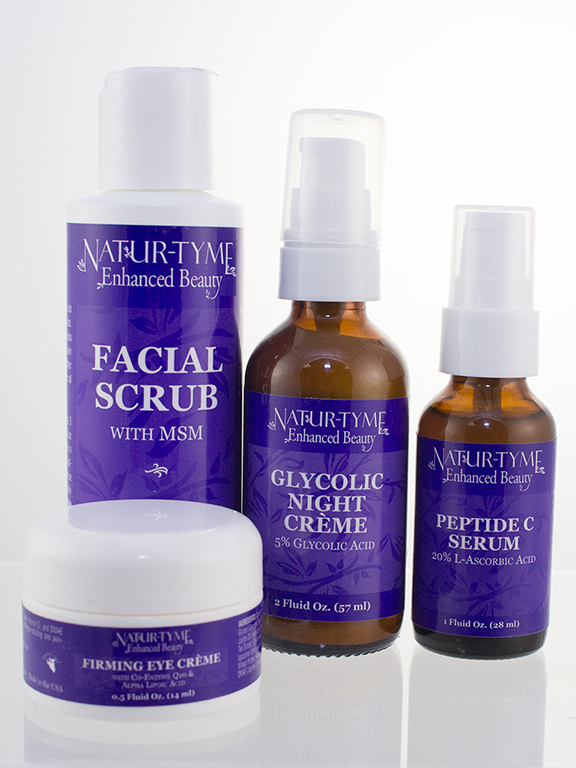 I love what we do here, love our customers, and am very grateful that Natur-Tyme exists! Hello all! This is the first time in my life I have kept an electronic account of my days and the fluff that fills it! I say fluff because I always live to enjoy the day as much as possible. So if it’s a cloudy day (which it often can be in Syracuse), it’s really fluffy! But weather aside, I am excited to share my days and journey with you, flashbacks and hot flashes included! So join me in my path to a new beginning of wellness, work, and wonderment! I am three weeks in my new position at Natur-Tyme and loving it! For many years, I traveled for a manufacturer doing education and sales. While I loved my job, it took me away from my family (3-year old, 10-year old, and 17-year old) so it was a balancing act to say the least! In July of 2012, I was diagnosed with stage-2A breast cancer. My perspective on life, family, and work all changed. I realized my worth and the quality-of-life I was providing myself fell short due to taking care of others first—typical career mom. So I changed gears, left my full time job, and on a leap of faith went back to school to pursue a career in Esthetics. Now while I love to perform services and make people look and feel better, I really love managing a team. As luck would have it (or maybe Karma? ), I was approached on my graduation day by our placement teacher with this question “How do you feel about natural products?” Interesting question, I thought. How do I feel about them? I have learned now through my cancer journey how important it is to watch what I put in my body. But what about the things I put on my body? Now I will be the first to admit, I’m a product junkie! So this concept is new to me. However, I have an open mind and a thirst for knowledge, so I decided to dive in! And I am loving every minute of it. So join me each week as I discuss more of my journey and share the fabulous natural products I pick up along the way! Creating a healthier me and you too!